Kozhikode: A six-year-old boy, who was undergoing treatment for vector-borne West Nile fever, died at a hospital here Monday. Announcing the death, state Health Minister K K Shylaja said there was no need to panic and steps were being taken to prevent the spread of the virus, transmitted to humans through a mosquito bite and is mostly reported in North America. Shylaja said she had asked the Director of Health services to immediately intensify steps to prevent the spread of the virus. “There is no need to panic and stringent steps are being taken to prevent its spread”, she told reporters. 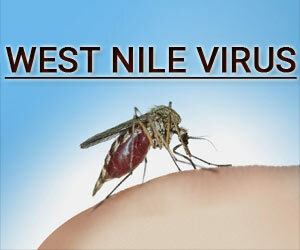 There had been a case of West Nile fever last year in Kozhikode, which was confirmed by the Manipal Centre for Virus Research (MCVR), however, the National Institute of Virology had not yet confirmed it, official sources said here.